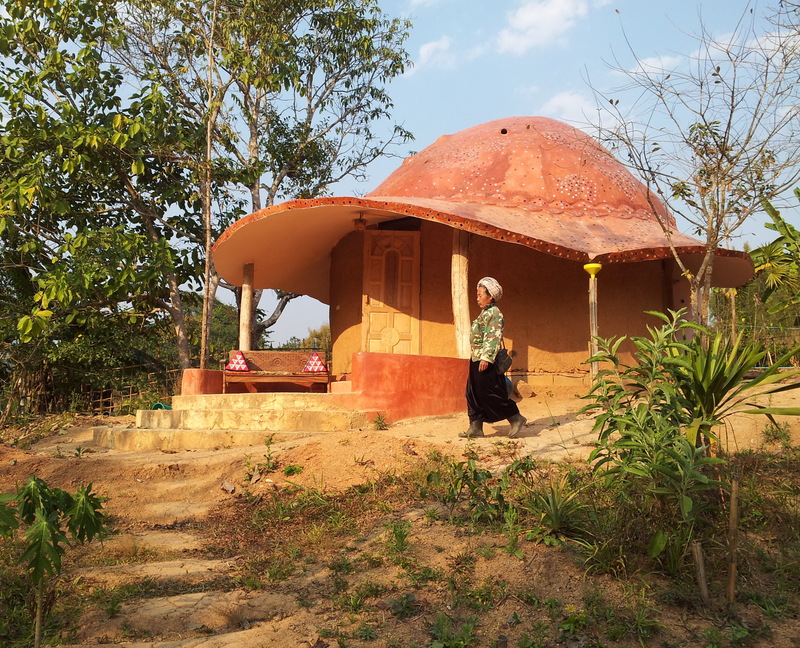 This dome is almost finished – and people have been staying in it already! Thanks Antony for the photo. 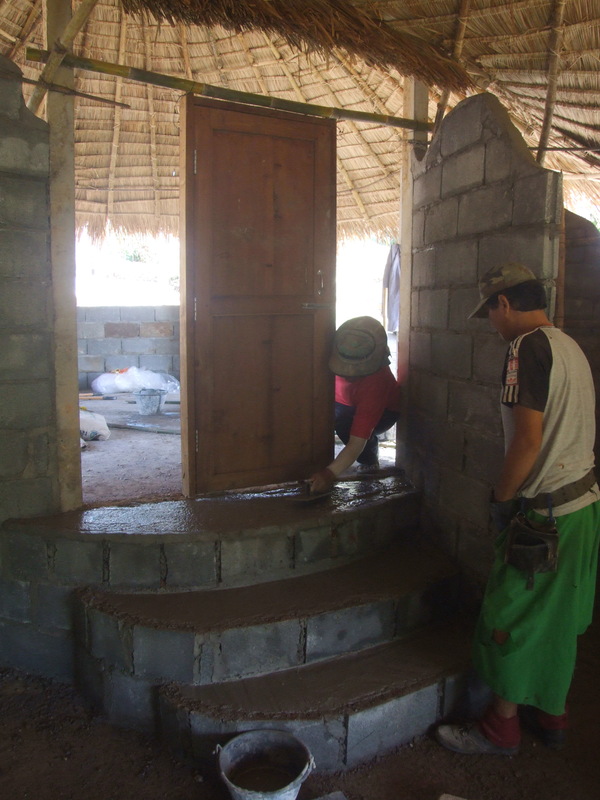 The final finishing touches, smooth plaster on walls, water in the bathrooms etc have not yet been done, but because of our workshops, we rushed to get these ready enough so that participants had somewhere to ‘camp’. 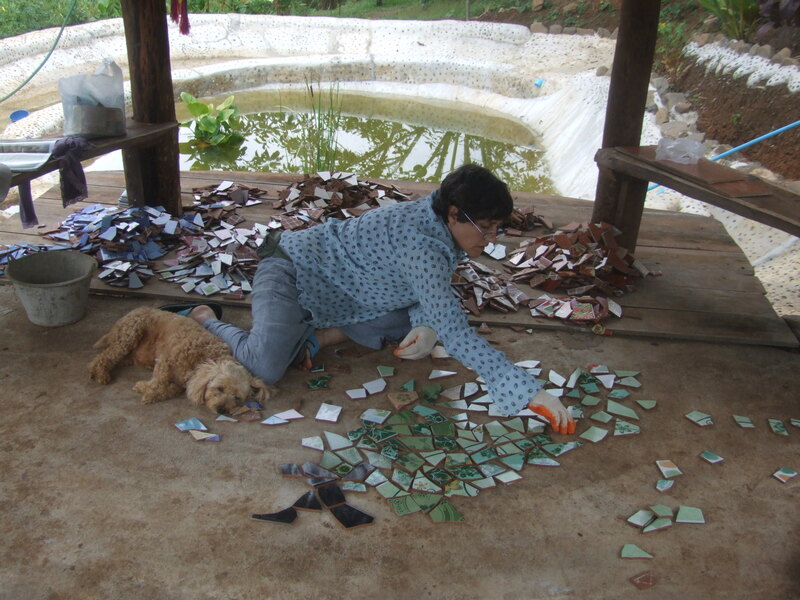 And here is the finished mosaic, with Lucy having a bit of a rest…. 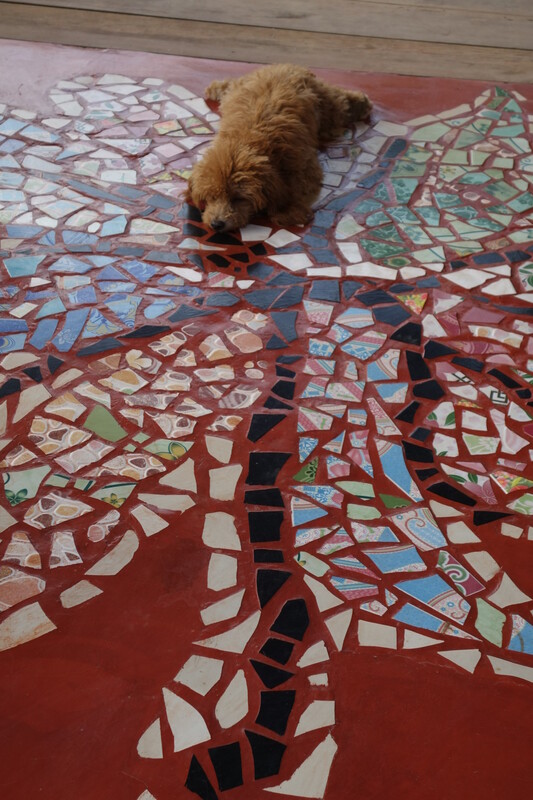 Lucy snoozing on the cool mosaic floor of the Sala. Thanks Luz for these photos. Our Gaudi Sala in use already! Back a bit in time, and we have also made two roundhouses, interwoven like a figure of eight. Not only interwoven, but also on a slope. It was interesting how the join between the rooms worked out. 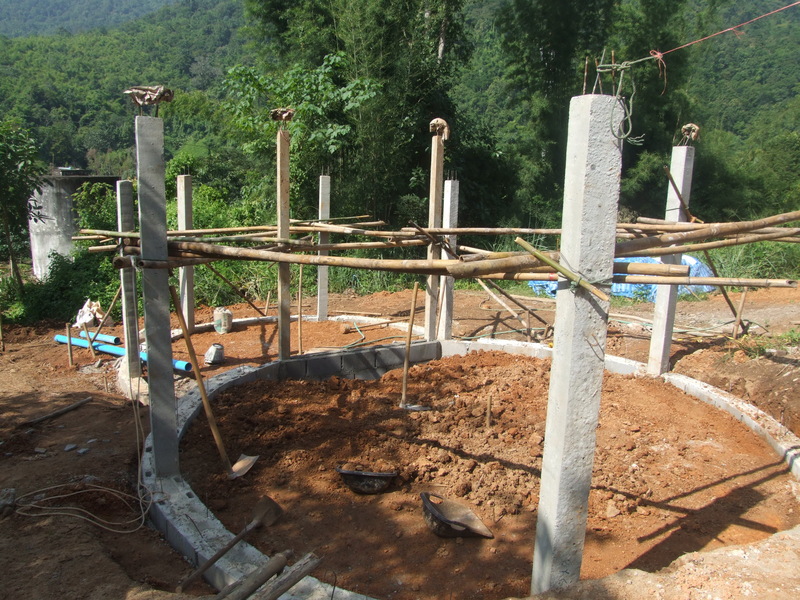 Here are the foundations. Foundations for two roundhouses interwoven: a figure of eight. Note in the picture below that there is a cement block wall in the lower roundhouse. 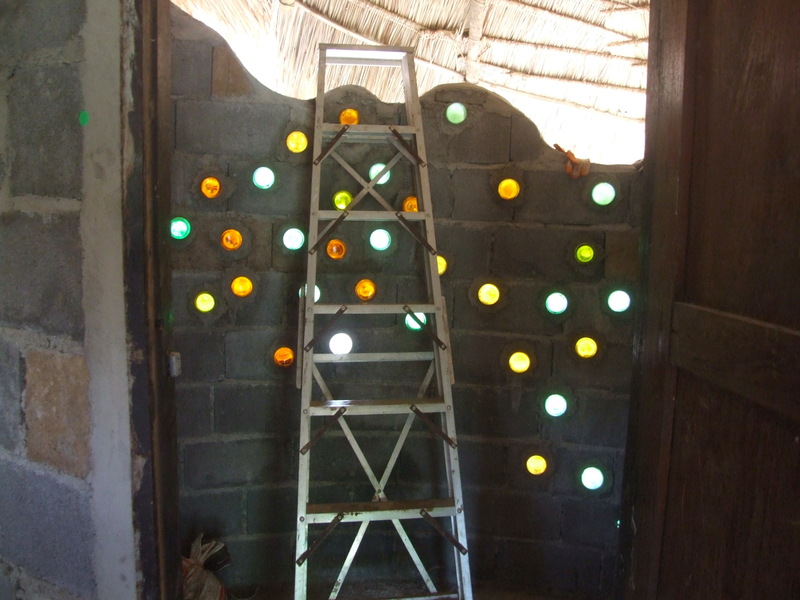 That is a bathroom, and in the following picture you can see that we have made a bottle decoration to bring light inside. 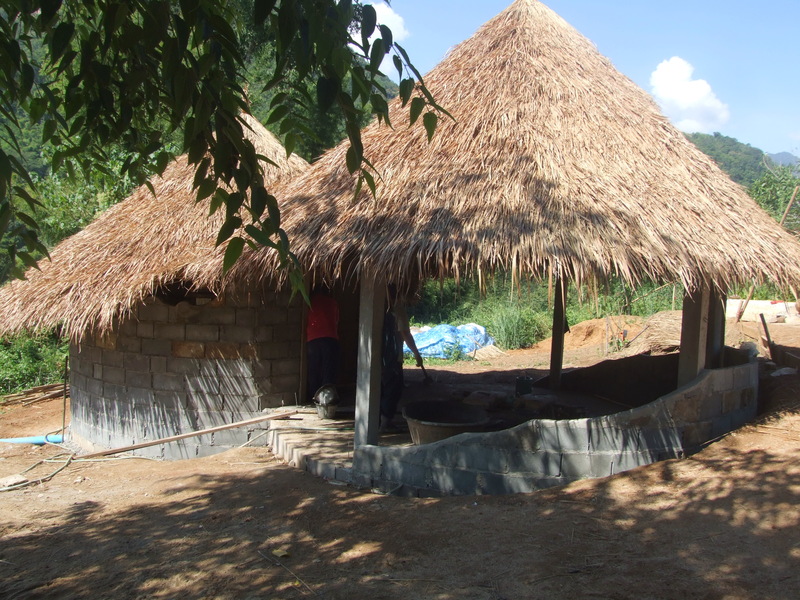 Roof for shade goes up before walls. The inside steps joining the two circles. Working on the steps joining the two circles. Bottle decoration for the bathroom wall. The bottle decoration was repeated on the opposite wall of the lower circle. The other side of our adjoining roundhouses showing bottle decoration in the wall. As you can see, these roundhouses are also already in use, and in front of them is our fire – a necessity as the temperature in the early morning dropped down to 10°C in the middle of winter! This is where we had our breakfast, and our dinner during the workshops. 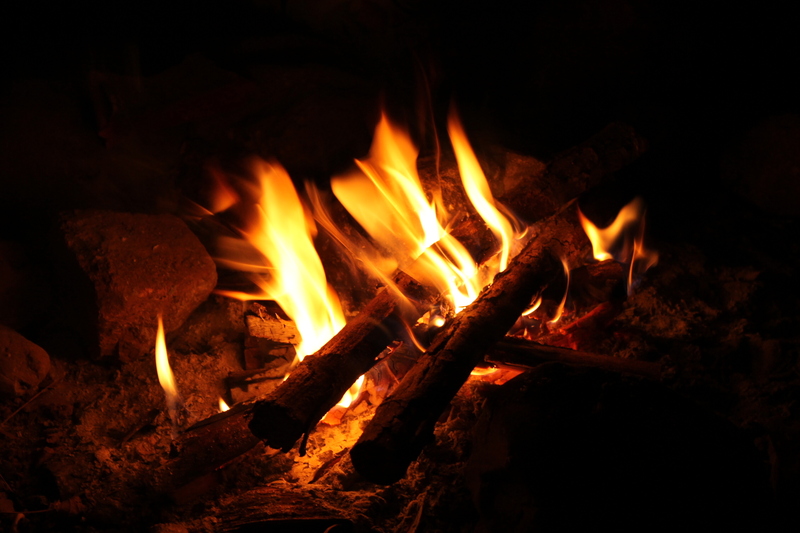 Cosy and warm round the fire at night. Thanks Emma for the photo. Next week pictures from our workshops! 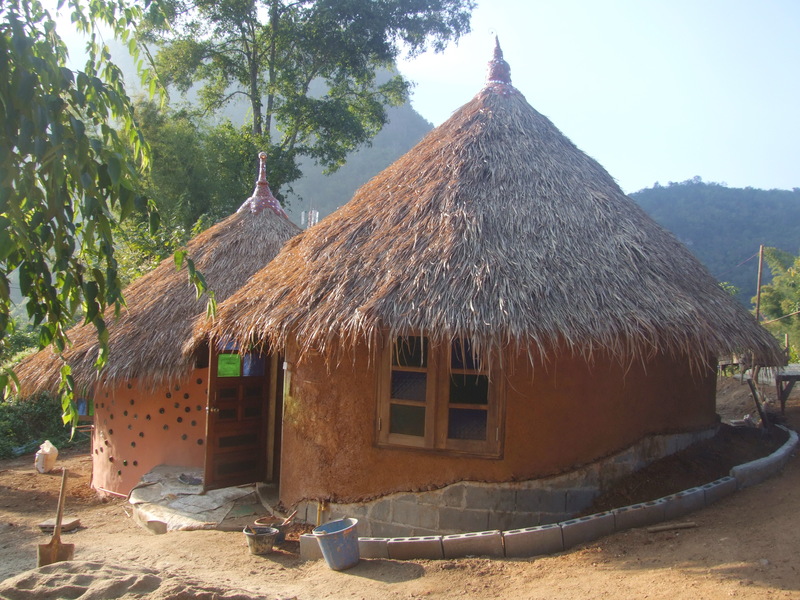 This entry was posted in Natural Building. So good to see your progress. 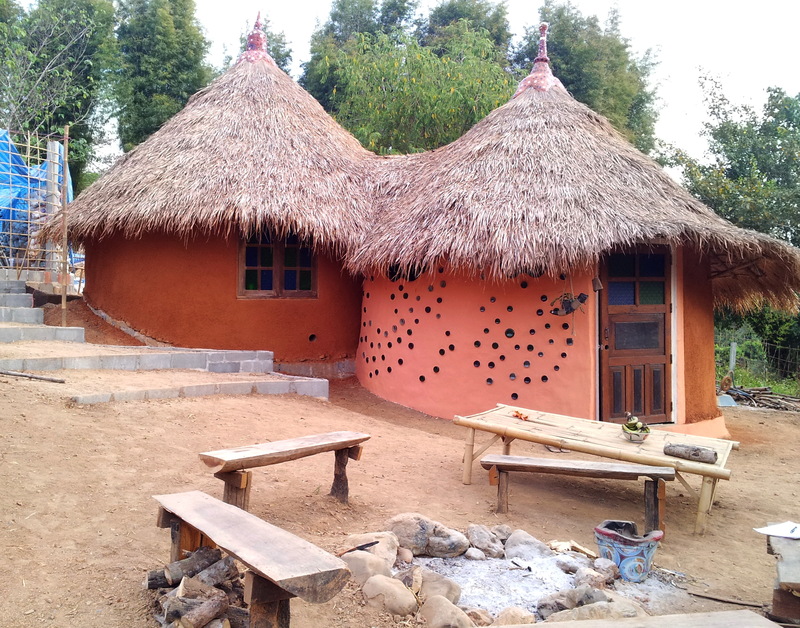 On our small dome we have had an interesting thing happin…termites got into the rice straw and clay infill and totallybdecemated some ares of the infill…but our superadobe substructure is in tact and the finish coat is fine…so we will take it back down to the infill and replace that…and add a round window at the same time…then will finish the interior. Will add borax to the infill this time using a mix of burned rice hulls rice hulls ag. Lime dirt and just a bit on cement to stablize that is how we did the house and have had no problem at all there….we built a local brick storage/work room so now i have a placeto store my tools. That is at the back of a carport that was a gift of my inlaws. Oh dear! I hope all is well with your dome now… I do not want to use borax so not sure how my rice husks will survive! Also how does the cooling/warming system work when you have used cement? 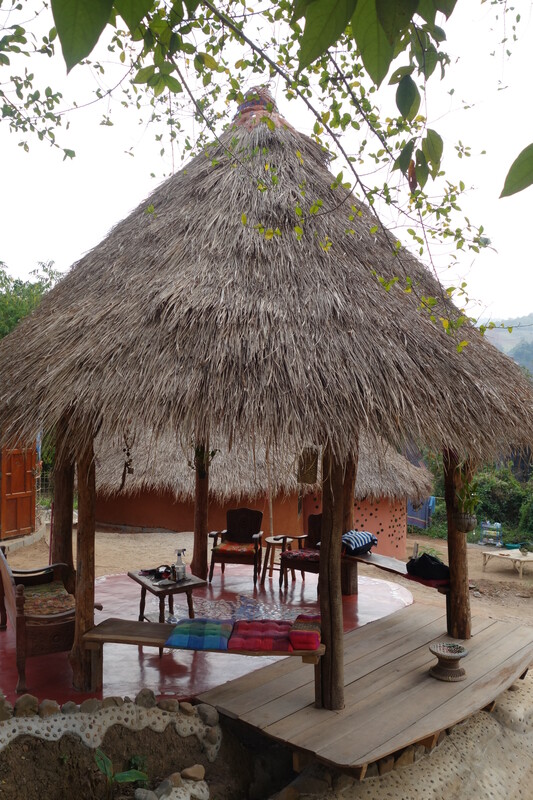 Here the domes are warm in winter and cool in summer – which is perfect.